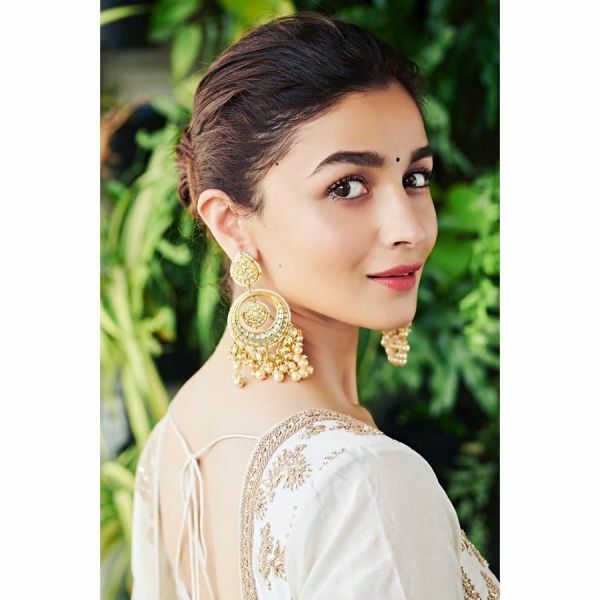 Oh-So-Shaandaar: Alia Bhatt's Summery Suits For Kalank Promotions Are *Ishq* At First Sight! There is no fashion trend or style that our Alia can't pull off. 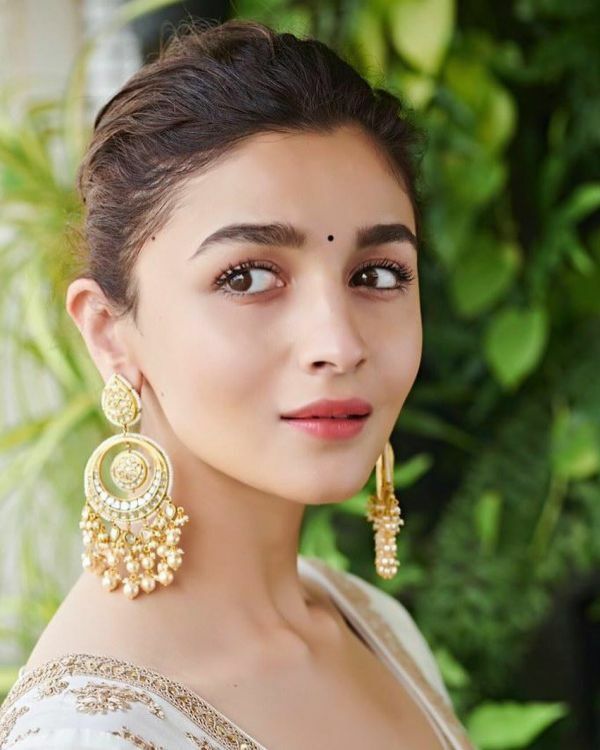 Bollywood's top trending actress and everyone's favourite, Alia Bhatt, is busy promoting her upcoming film Kalank these days but she is also doing one more thing unknowingly. Giving us Indian wear goals! 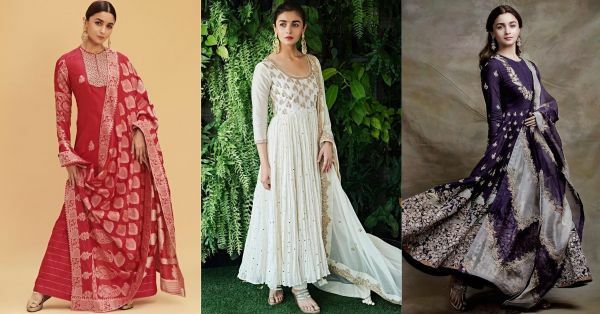 Alia wore a white anarkali suit, with gold embroidery, lace inserts and sequin work, showing us how to nail minimal desi style. Instead of juttis, she teamed it with a pair of muted gold-toned one-toe wedges by Stoffa. Of course, she sported a deep neckline. After all, plunging necklines are her new fashion focus this season. The pretty suit also had a deep U-shaped back design with an elegant tie-up detail to add finishing touches to the suit. Look closely, even the tassels are making a statement! The tiny applique flowers on the dupatta are reassuring of the floral print trend proving that it is here to stay. To complete her look she picked a pair of gigantic gold-toned drop earrings matching the work on the suit. The 18 karat gold babies with studded stones and pearls are by Nora Jewellery. By now, we are sure that micro-dot bindis are going to make way in every Indian look that we carry this season. Also, understated, natural-looking tinted lips! This white and gold suit is by Punit Balana from the ace designer's Spring/Summer ‘19 collection, Maya. This reddish-pink Banarasi silk kurta with striped palazzo pants and heavy dupatta is by the handloom luxury brand, Ekaya. The suit is from their chikankari inspired weaving collection, Mehfooz. Looks perfect for a wedding function, doesn't it? 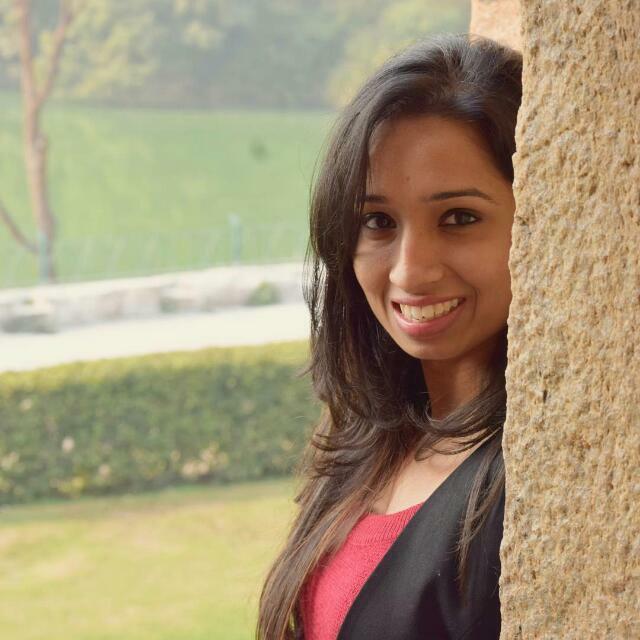 When wearing dark colours in Indian wear, people usually opt for navy blue or black. Well, all that's so 2018 now 'coz purple is the new thing. This heavily embroidered purple and grey anarkali suit is by Anamika Khanna. This peach chiffon suit has 'summer' written all over it. The colour is easy, the material is light and, basically, it's a hit. From the house of Anita Dongre, this embroidered suit is called Amani suit. 4. Black In Summer? Hell Yes! 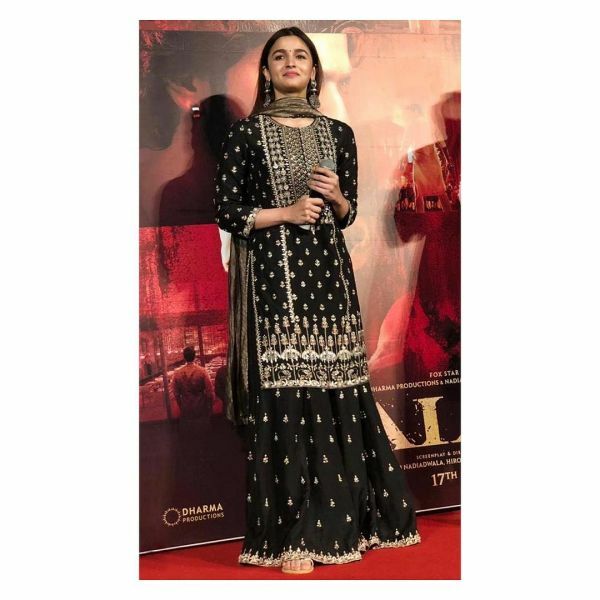 Alia ditched the churidar-anarkali suit this one time for a black and gold sharara set by Anita Dongre. We can totally see ourselves dancing at our bestie's shaadi sangeet in this black beauty. And, of course, the famous off-white suit by Manish Malhotra that paved the way for a white summer in 2019. So, remove that crop top from the cart and buy a suit like Alia STAT! Kalank, produced by Karan Johar, is set to release on April 17.